This story is significant from a historical aspect and from a tourism aspect. The destinations are scenically spectacular. Here is one of the most spectacular lodges in the United States. This is the West, not the East. In the East, the U.S. government was still saying don’t muster large units of blacks. Why? Because they were afraid of giving too much power to large units of blacks. They were not even sure they were going to grant freedom to blacks in the early years of the Civil War. In the West, the planners did not listen to the main U.S. government in the East and in the West, the planners defied suggestions that units of blacks should not be mustered to fight the whites in the South. I’ll put the facts together with a possible trip to see these places. 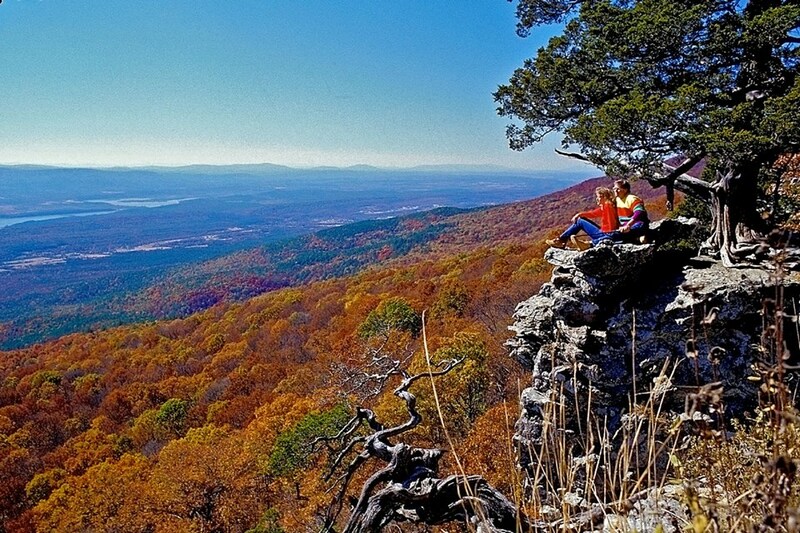 The first destination is the spectacular Magazine State Park in the mountains of Western Arkansas. This State Park does not have Civil War significance but it is a spectacular starting point for the vacation. In 2006, the multimillion-dollar Lodge at Mount Magazine and 13 cliffside cabins were opened. The 66,617 square feet (6,189 m2) rustic-style lodge offers 60 guest rooms, a grand lobby, a conference center, a business center, an indoor swimming pool, a fitness center, a gift shop, and panoramic views from every guest room. The Skycrest Restaurant offers traditional Southern cuisine, a two-story fireplace, and a view of the Petit Jean River Valley and distant Blue Mountain Lake. The 1st Regiment Kansas Volunteer Infantry (Colored) was an infantry regiment that served in the Union Army during the American Civil War. It was the first black regiment to be organized and the first black unit to see combat during the Civil War. It was active from August 4, 1862 to December 13, 1864. The 1st Kansas Infantry (Colored) was organized at Fort Scott, Kansas and mustered in as a battalion (six companies) on January 13, 1863 for three years. Four additional companies were recruited and mustered in between January 13 and May 2, 1863. It mustered in under the command of Colonel James M. Williams. This regiment was recruited without federal authorization and against the wishes of Secretary of War Edwin M. Stanton. James H. Lane, recruiting commissioner for Kansas territory north of the Kansas River, on August 4, 1862 authorized raising the regiment. Recruiting officials enlisted black men across eastern Kansas, most of whom were former, or runaway, slaves from Missouri. It was the first African-American regiment to see combat during the Civil War, in the skirmish at Island Mound, in Bates County, Missouri in October 1862. The 1st Kansas Infantry (Colored) ceased to exist on December 13, 1864 when became a U.S. Army unit and its designation was changed to the 79th Regiment Infantry U.S. Colored Troops. Also attached to the regiment at some point was Armstrong’s Battery Light Artillery, a unit for which few details are known. The battle sites are listed on the Wikipedia link below. Of note is Fort Scott National Historic Site but this is way too far to drive from Magazine State Park. The 1st Kansas Infantry (Colored) was organized at Fort Scott, Kansas and mustered in as a battalion (six companies) on January 13, 1863 for three years. Fort Scott National Historic Site is a historical area under the control of the United States National Park Service in Bourbon County, Kansas. Named after General Winfield Scott, who achieved renown during the Mexican-American War, during the middle of the 19th century the fort served as a military base for U.S. Army action in what was the edge of settlement in 1850. For the next quarter century, it was used as a supply base and to provide security in turbulent areas during the opening of the West to settlement, a period which included Bleeding Kansas and the American Civil War. The current national historic site protects 20 historic structures, a parade ground, and five acres (20,000 m²) of restored tallgrass prairie, inside the city of Fort Scott. It is open to visitors most days of the year. Poison Springs Battleground State Park should be the destination after Magazine State Park, a spectacular drive, giving reverence to the black soldiers who fought and died there. There is not really much there and the visit there would only take 2 or 3 hours. A word of caution about this battle. It was a war crime in the extreme, but after this battle, it became the resolve of the United States that the only way of dealing with the Confederacy was unconditional surrender. No other course of action could be considered. Dwindling supplies for his army at Camden, Arkansas forced Union Army Major-General Frederick Steele to send out a foraging party to gather corn that the Confederates had stored about twenty miles up the Prairie D’ Ane–Camden Road on White Oak Creek. The party loaded the corn into wagons, and on April 18, Colonel James Monroe Williams started his return to Camden. Brigadiers-General John Marmaduke’s and Samuel Maxey’s Confederate forces arrived at Lee Plantation, about fifteen miles from Camden, where they engaged Williams. …the train fell into our hands, and soon a portion of his artillery, which my troops found concealed in a thicket near the train. I feared here that the train and its contents would prove a temptation too strong for these hungry, half-clothed Choctaws, but had no trouble in pressing them forward, for there was that in front and to the left more inviting to them than food or clothing—the blood of their despised enemy. They had met and routed the forces of General Thayer, the ravagers of their country, the despoilers of their homes, and the murderers of their women and children. In all, the 1st Kansas lost nearly half of its numbers. The Union lost 198 wagons and all the corn. Estimated casualties were 301 for Williams and 114 for the Confederates. Day One: Head out of Indianapolis on I-70 all the way to St. Louis, Missouri. Go further than St. Louis on I-44 and stop overnight somewhere near Lebanon, Missouri. That’s 405 miles, 6 hours, 29 minutes drive time. Day Two: Head out of your Lebanon, Missouri area motel and head to Mount Magazine State Park in Arkansas. That’s 243 miles, 4 hours, 36 minutes drive time. That is various roads, some of them State Highways. See MapQuest. 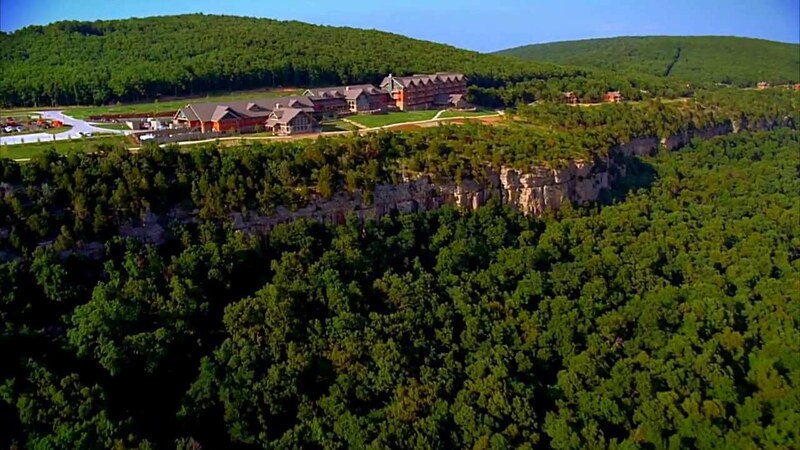 Stay at the lodge at Mount Magazine State Park in Arkansas as many days as you can. After Mount Magazine State Park in Arkansas drive to Poison Springs Battleground State Park, a spectacular drive, giving reverence to the black soldiers who fought and died there. There is not really much there and the visit there should only take 2 or 3 hours. Driving from Mount Mount Magazine State Park to Poison Springs Battleground State Park is on various roads, about 160 miles, and about 3 1/2 hours. From Poison Springs Battleground State Park head home to Indianapolis. See MapQuest. This takes 2 days splitting about 11 hours in half to stay somewhere halfway in between. Places like Branson and Memphis are directly in the paths of this trip but in my opinion, these places would only muddle the purpose and quality of the trip and the reason for the trip. This trip could be a trip of a lifetime.